When: Second Tuesday of the month, 3.30pm to 4.30pm Are you up for a challenge? Get creative with LEGO at the library. 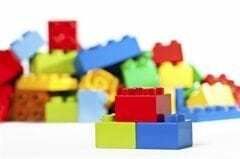 If you’re a child who loves tinkering and creating with LEGO then join the Kenwick Library LEGO Club. Members can build their own creations, play fun games and tackle challenges with other LEGO fans. All materials supplied. Suitable for children aged 7 to 14 years. Membership is free, register your interest now.